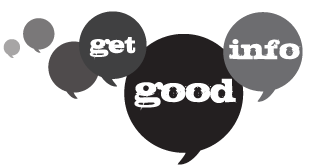 Connect@GetGood.info Contact us to discuss your consumer and market research needs! Miller Brewing aimed to introduce a new product to a nationwide market in 2007, but was uncertain of the messaging, branding, product proposition and possible consumer reaction of the new beverage, ultimately introduced as Miller Chill. Beginning over 18 months before the product introduction, our researcher was brought on as an outside consultant to plan and conduct ethnographic research as part of the product development process. Initial in-home buddy groups of men and women across a range of demographic groups focused almost exclusively on possible brand and messaging options, including packaging and marketing materials. Consumer expectations based solely on branding and marketing materials were then compared to expectations of and reactions to the new beverage both before and after sampling. Once the concept was put into test market research, we oversaw a six-city research project designed to gauge consumer expectations, experience with and reactions to Miller Chill. Focus groups were conducted in local hotel suites in each of six cities, allowing participants to feel more comfortable than in a traditional focus group facility. Additionally, in each city, researchers conducted in-home buddy groups and on-site intercept interviews in both stores and bars. Research findings led to changes in the messaging, packaging and branding leading up to the successful nationwide launch of Miller Chill. Beer marketer Insights Express called Miller Chill “the top new beer brand in supermarkets in 2007.” Sales of Miller Chill in 2007 totaled $40.8 million. We’d love to meet up and learn your customer challenges – how about coffee or a video chat?